Could Darren Aronofsky's RoboCop reboot be left to rust? Rumor has it that in the wake of Avatar's success, the up-for-sale MGM doesn't want to greenlight Aronofsky's RoboCop vision unless he's willing to make it in 3-D. And he's not. We knew things weren't looking good for the metal arm of the law when the release date for Aronofsky's feature was moved from 2010 to 2011, but we still held out hope for Aronofsky's reimagining, even if it sounded like a complete departure from the original movies. But now it looks like this may never happen. Darren Aronofsky is a real artist and he's not interested in Gimmicks like,3D,CGI,Filming digital, he wants to do everything as real (organic) as possible just like The Fountain. 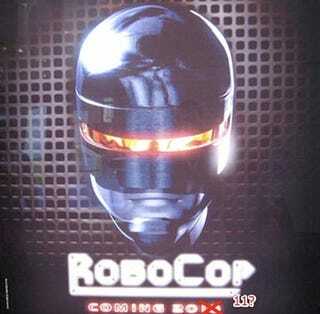 So there may not be a new Robocop until MGM gets a new owner, or the film gets a new director.